Get softer skin, shinier hair and cleaner air with the Aquasana Premium Shower Filter. It enhances pH balance and removes over 90% of the chlorine in your shower water that can cause dry, itchy skin and brittle, lifeless hair. Chlorine can strip your skin and hair of their natural protective oils, and showering in Aquasana filtered water restores your body's natural protective oils for noticeably healthier hair and skin. In addition, the Premium Shower Filter reduces synthetic chemicals that can evaporate out of your shower water and contaminate the air you breathe. This EcoPure Carbon Block Replacement Filter reduces chlorine taste & odor, sediment, sand, dirt and rust, which will extend the life of your home's water using appliances. 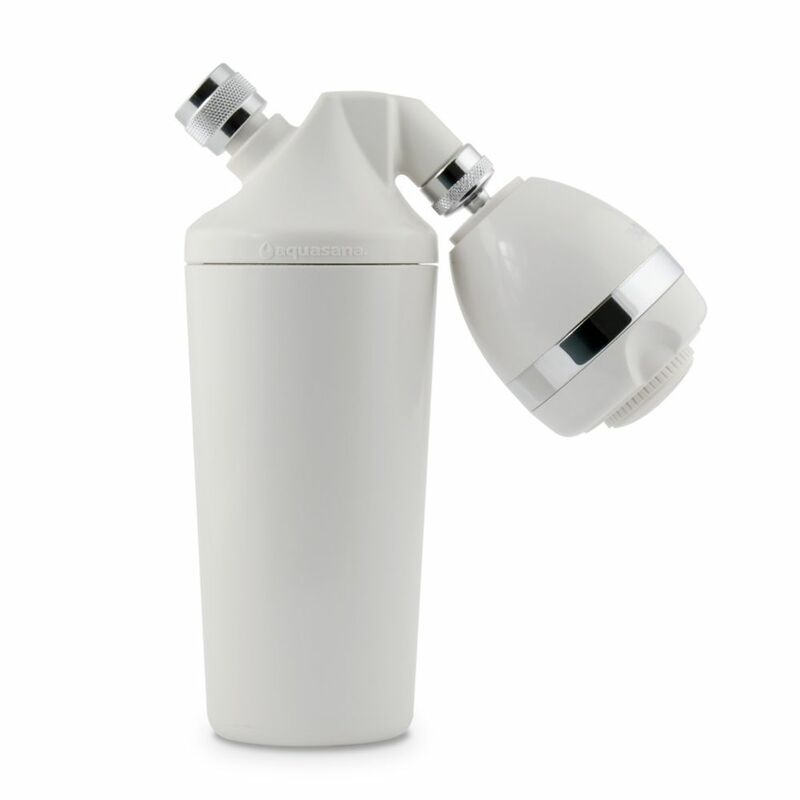 These universal filters fit seamlessly into our EcoPure EPWO4 whole home housing and can be used with all major brands of sump-style whole home filtration systems. For best filtration results, filters should be replaced every three (3) months, as recommended. Replacement filter pack for the ISPRING #CU-A4 Ultrafiltration Water Filtration System which utilizes State-of-the-art UF Hollow Fiber Technology, the same technology in personal water filters, which removes 7 log (99.99999%) of all bacteria and 6 log (99.9999%) of all protozoa. Its certified 0.1 micron (comparing to 0.2 micron in Watt UF3) absolute filter removes bacteria and protozoa at a higher rate than accepted EPA guidelines. It is estimated that VOCs (volatile organic chemicals) are present in one-fifth of the nation's water supplies. These contaminants can enter ground water from a variety of sources, including herbicide and pesticide runoff, gasoline or oil spills, leaking underground fuel tanks, disinfection byproducts, septic system cleaners, and chemicals used in the dry cleaning industry. The CU-A4 keeps you safe from these and other VOCs with its 4-stage filtration. Triple-Stage 20 inch Water Filter System Whole-House, 1 inch NPT. All metal fittings. 1st Stage: 5 micron high-capacity polypropylene sediment filter, for removal of Sand, Silt, Dirt and Rust particles. 2nd and 3rd Stage: 5 micron Carbon Block Filter eliminates any remaining chlorine in the water. Includes: 3-Stage 20 inch Water Filter System Mounting Bracket - One set of 3 filters (1 Sediment + 2 CTO Carbon). - One Filter Wrench and 2 extra metal fittings. Water Source: Chlorinated or non-chlorinated water supplies - System Capacity: 500 Gal. per day at 50/60 PSI and 770F - Feed Water pH: 3.0 -11.0 - Feed Water Pressure: 40-95 PSI. Feed Water Temperature: 40-1000F (4 - 38 C) - Max Total Dissolved Solids: 2500 ppm - System Dimensions (inch): 17 W x 7 D x 25 H. Package Dimensions (inch): 16 W x 10 D x 26 H - System Package Weight: 29 lbs. Premium Shower Filter with Massaging Shower Head Get softer skin, shinier hair and cleaner air with the Aquasana Premium Shower Filter. It enhances pH balance and removes over 90% of the chlorine in your shower water that can cause dry, itchy skin and brittle, lifeless hair. Chlorine can strip your skin and hair of their natural protective oils, and showering in Aquasana filtered water restores your body's natural protective oils for noticeably healthier hair and skin. In addition, the Premium Shower Filter reduces synthetic chemicals that can evaporate out of your shower water and contaminate the air you breathe. Premium Shower Filter with Massaging Shower Head is rated 4.6 out of 5 by 591. Rated 3 out of 5 by Hugo from THE CONNECTION OF THE FILTER HAS LEAKED, BUT THE SHOWER... THE CONNECTION OF THE FILTER HAS LEAKED, BUT THE SHOWER IS VERY GOOD. Rated 5 out of 5 by Toni from My Aquasana premium shower filter was super easy to install... My Aquasana premium shower filter was super easy to install and OMG I feel and see the difference in my hair and skin. Wish I had known about it before. I am very happy I got it!!! Rated 5 out of 5 by Yani from I recommend this product, easy to assemble. You can feel the difference from the fist shower! I recommend this product, easy to assemble. You can feel the difference from the fist shower! Rated 1 out of 5 by Aquasana Customer 31021 from Poor design Had this for a year or so and it worked fine. The problem is that its too much weight and too much plastic. If you have more than one person in the house and everyday its adjusted, it won't take long before the plastic breaks. This is on top of having to switch filters that will put additional pressure on the plastic. To help avoid this one you would have to take it off the pipe first every time you change the filter which is additionally lame. Its just not designed well (and probably would be easy for the engineering team to do) and am very surprised this had not been improved. Would not recommend unless you want to keep having to deal with new ones with the time between changes depending on how much use it gets. Threw it out and never looked back. Rated 3 out of 5 by HomeDepotCustomer from Only used this product for a week so its too early to know if it works as intended. Only used this product for a week so its too early to know if it works as intended. I live on a farm with very hard water, and this product description &nbsp;talks about removing chlorine.. would it be good for softening our water too?